Today we just wanted to take a moment to share one of our customer's photos in response to our Mandala Monday Meditation. Thank you for the feedback Celia! 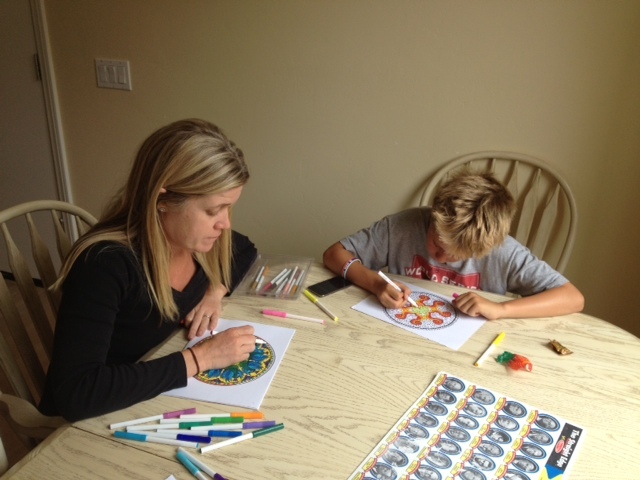 "Here's a pic of the peaceful time my 11 year old and I enjoyed coloring our mandalas together. Thanks for the inspiration!"